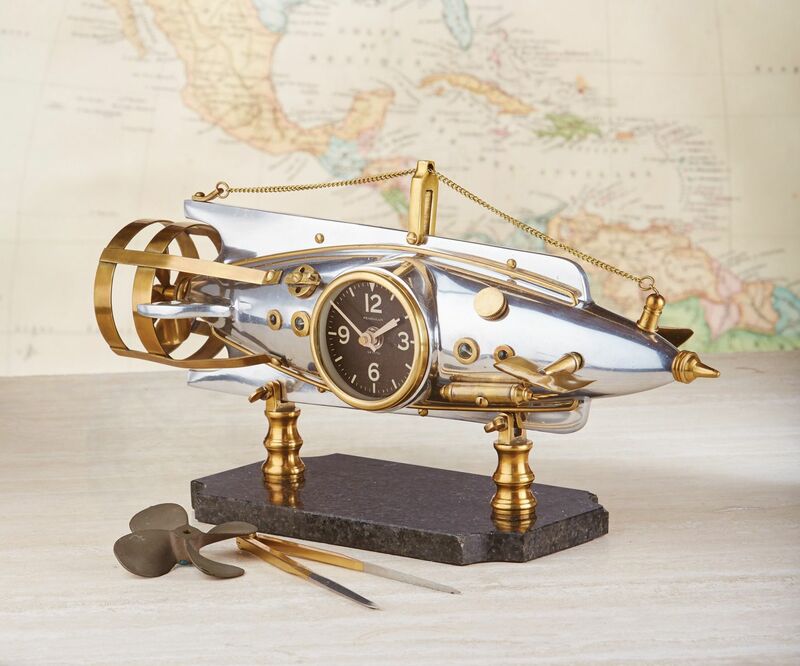 Unique Nautilus Table Clock is every bit as complex and precise as the circa 1902 French torpedo that inspired the shape and components on this imaginative clock. 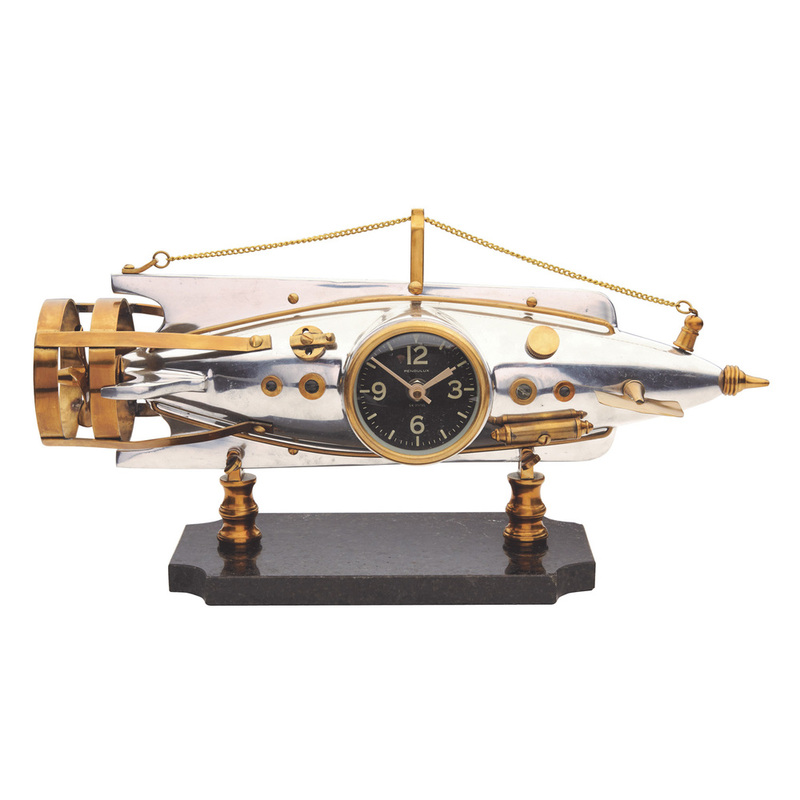 The most intricate timepiece in our collection, the brass details throughout feature several moving parts, including a solid brass four-blade propeller and operable dive planes. This stunning legacy piece features a heavy marble base and brass portholes with acrylic windows. The Nautilus guarantees accurate timekeeping whether on a 20,000 league voyage or just above sea level on your mantel.